A professional walk-behind auto-scrubber. 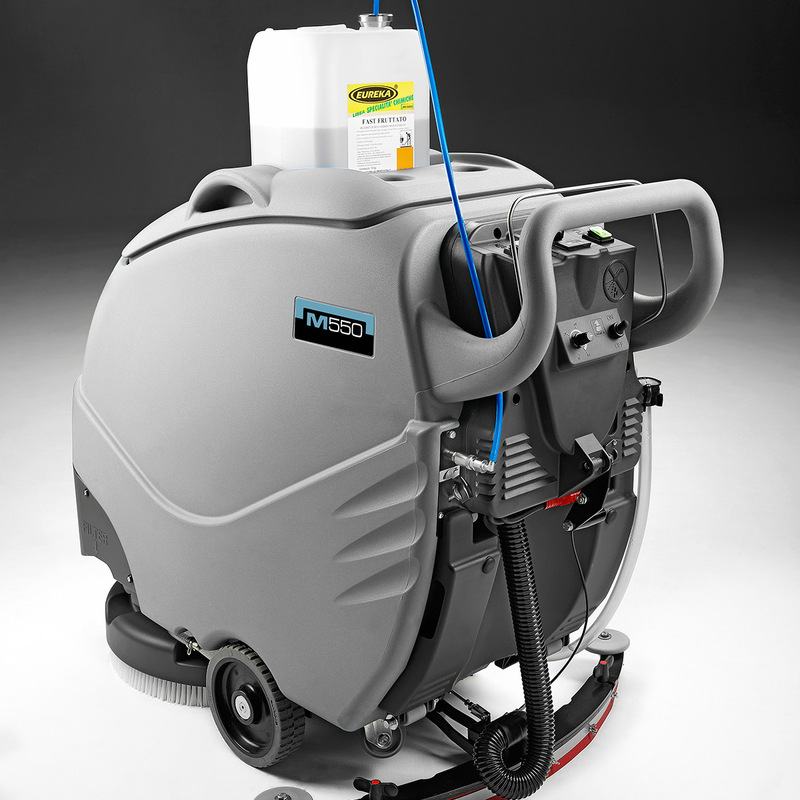 The M500’s compact design allows easy access to confined spaces, making it ideal for high frequency cleaning in busy environments. 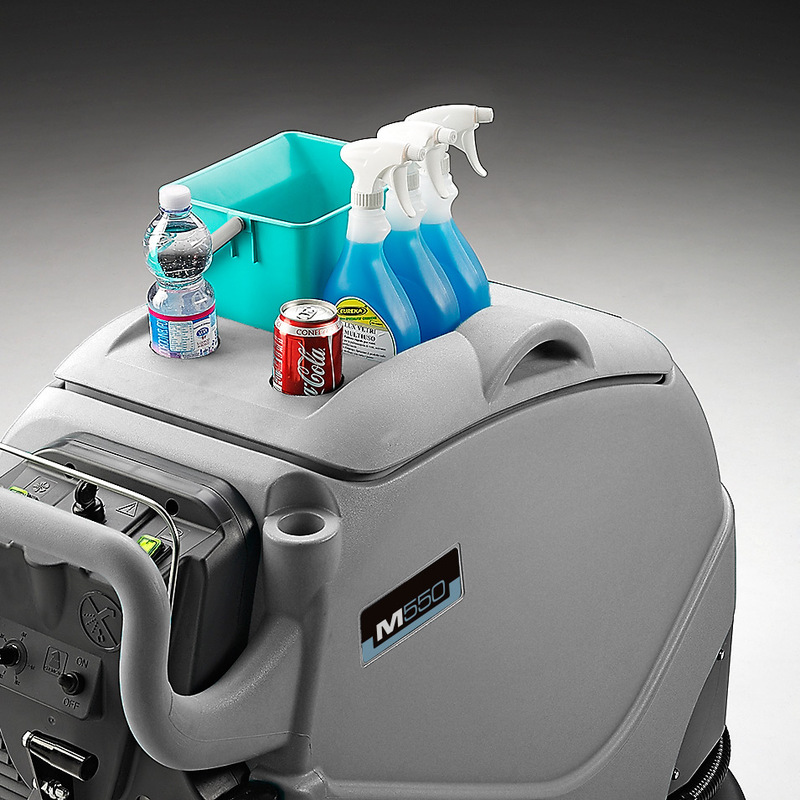 Industrial technology in a compact design; simplify everyday cleaning on a budget with the M500. 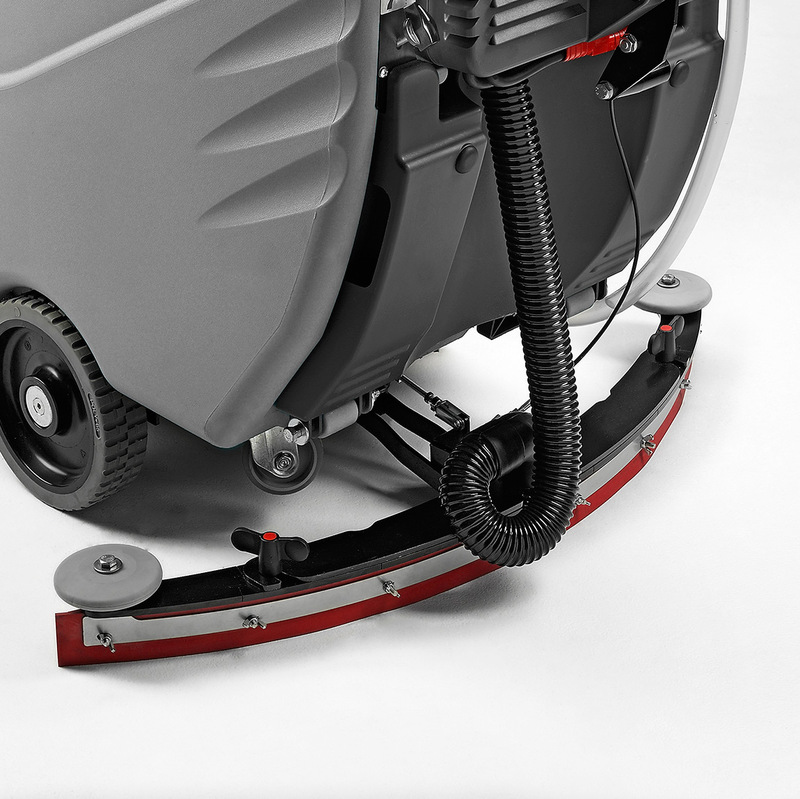 The M500 is a walk behind auto-scrubber that is perfectly adapted for the everyday cleaning of high traffic environments. 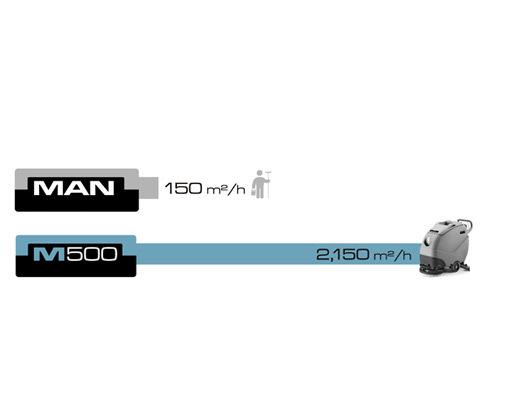 Its 500 mm cleaning path delivers an impressive productivity rate of 2150 m² / 23,150 ft² per hour, while the compact design permits easy access to confined spaces. 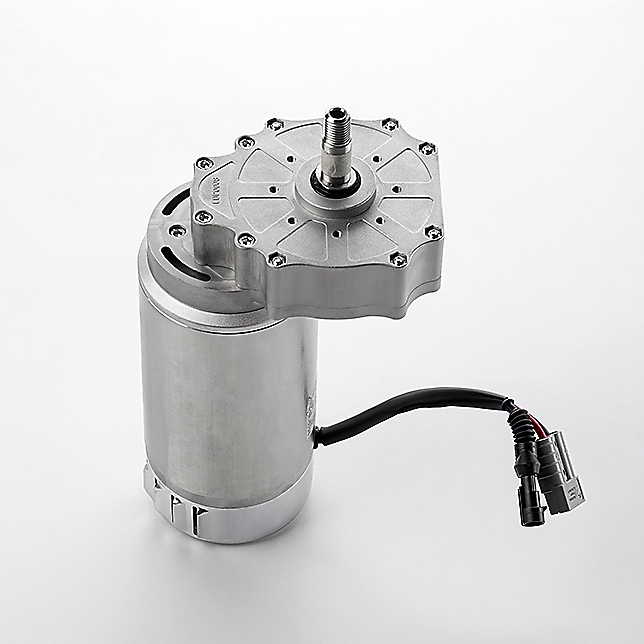 A powerful motor generates the highest brush pressure on the market in a 500 mm machine, delivering fantastic results. 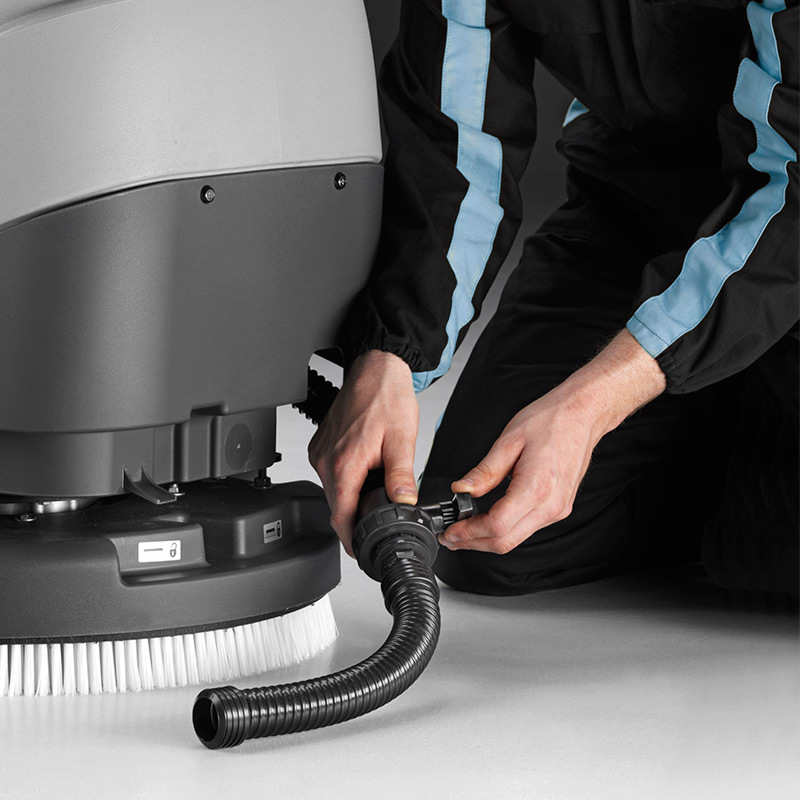 Be surprised by the M500, the everyday auto-scrubber with industrial cleaning power. Start cleaning in three easy steps! 1) Turn the key ‘on’ 2) Activate the brush and suction 3) Squeeze the drive bar and go! 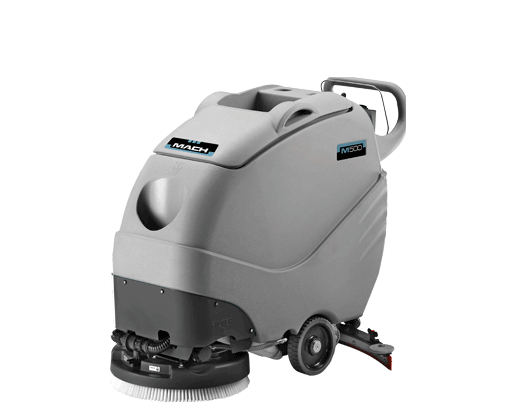 A powerful motor generates the highest brush pressure (31 kg) on the market in a 500 mm auto-scrubber, for perfect results every time. The impact resistant steel squeegee distributes down pressure along the length of the Linatex® or PRIMOthane® blades, delivering consistent cleaning results even around 180° turns. Tool free replacement makes maintenance easy. 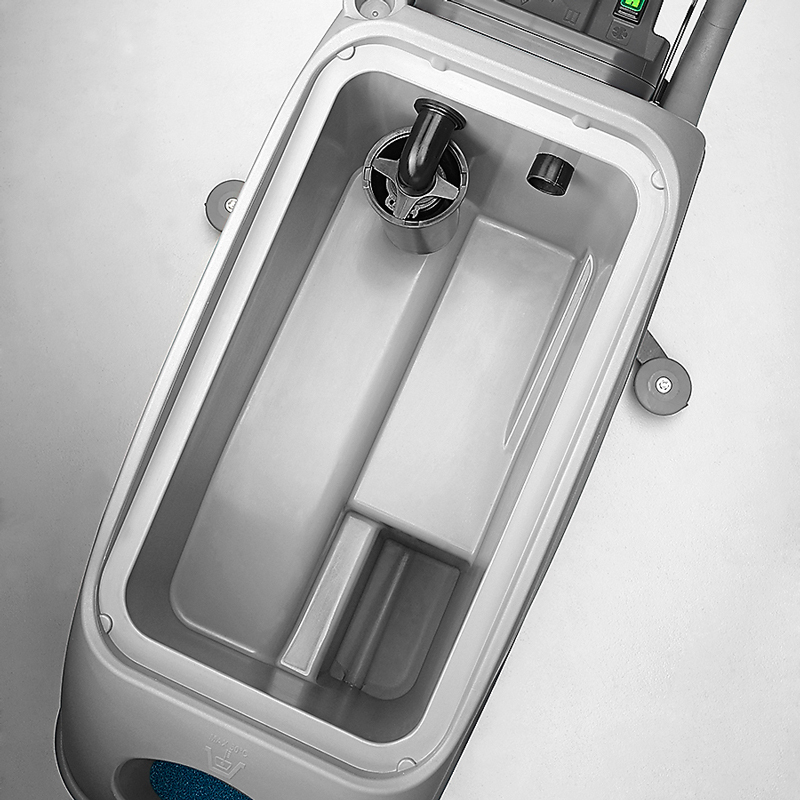 Recovery tank is equipped with a convenient hose and drain valve, to control the flow of wastewater for simple and flexible emptying. Use up to 50% less chemical, saving money and improving productivity. Immediately adjust the amount of detergent and eliminate operator contact with chemicals. Optional feature. 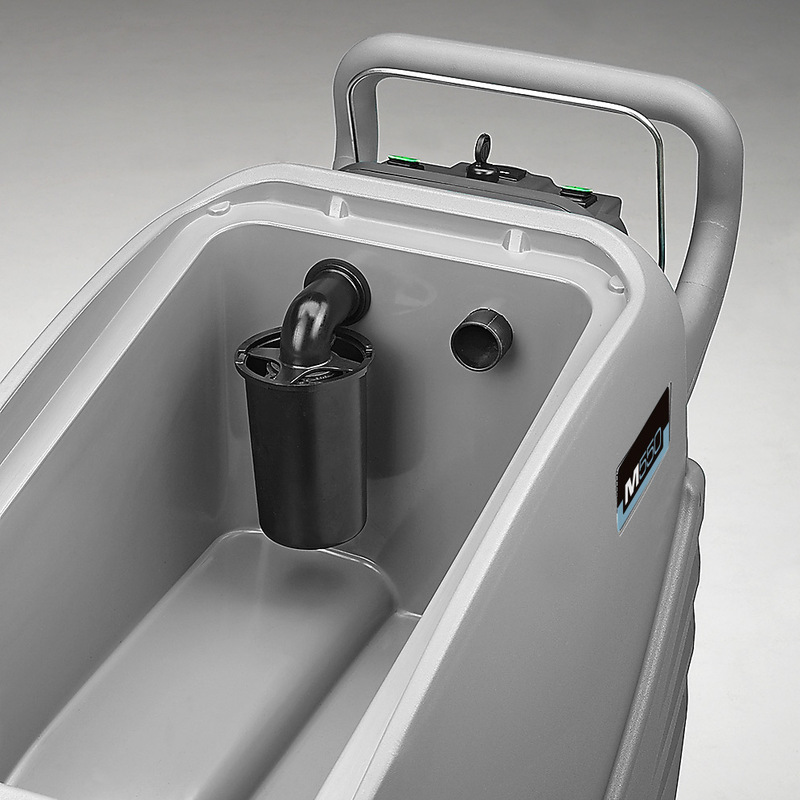 Full access to the recovery tank for easy cleaning after use ensures complete tank hygiene. 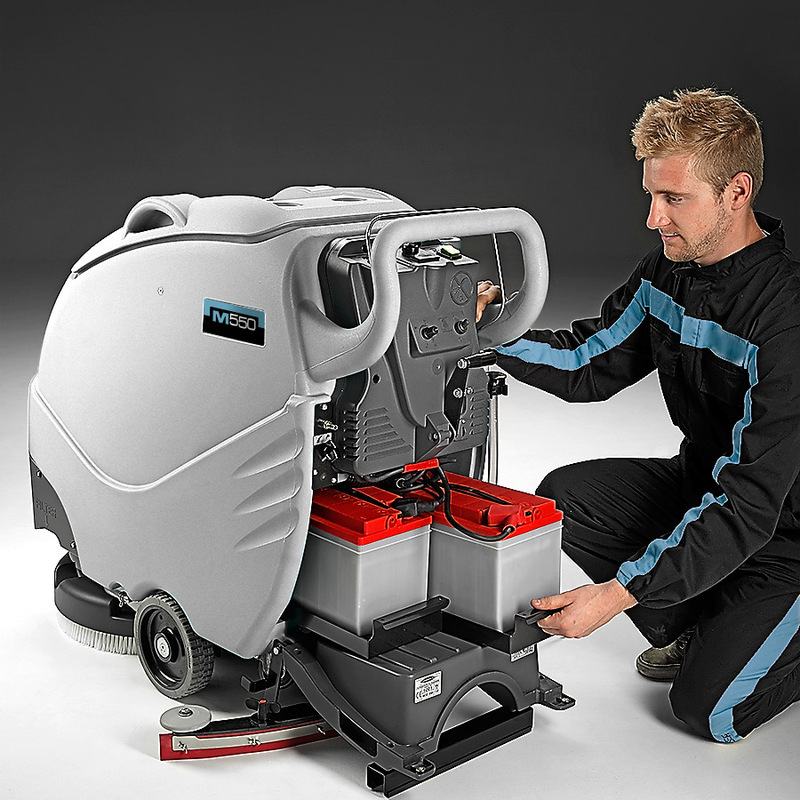 The vacuum motor is protected by an anti-foam safeguard, which prevents against damage. A clever case pulls out to provide easy access to the batteries, making routine maintenance and tool-free replacement simple. 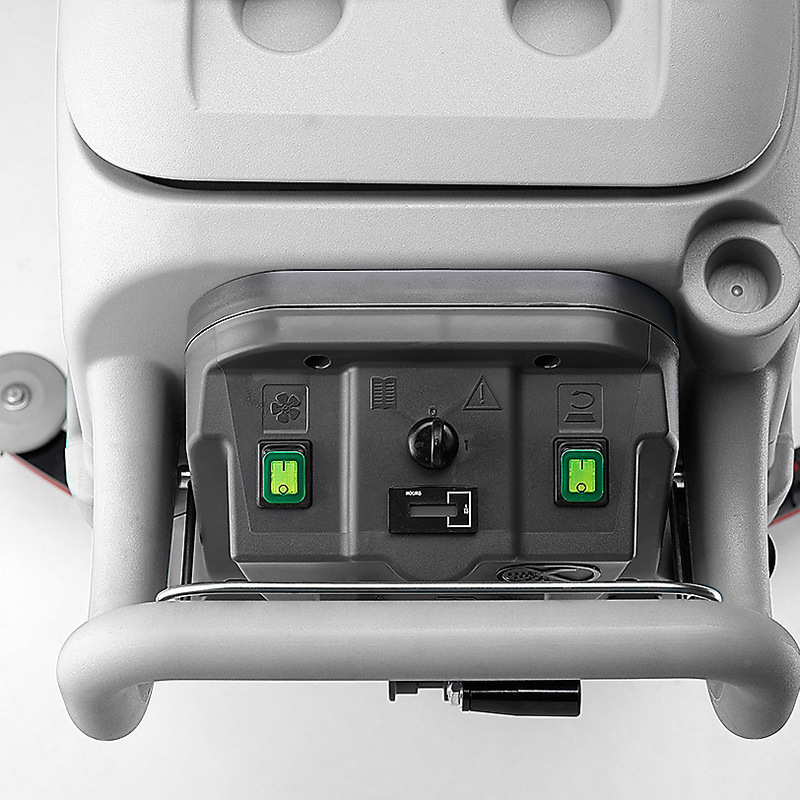 An on-board battery charger ensures charging is safe and fast. 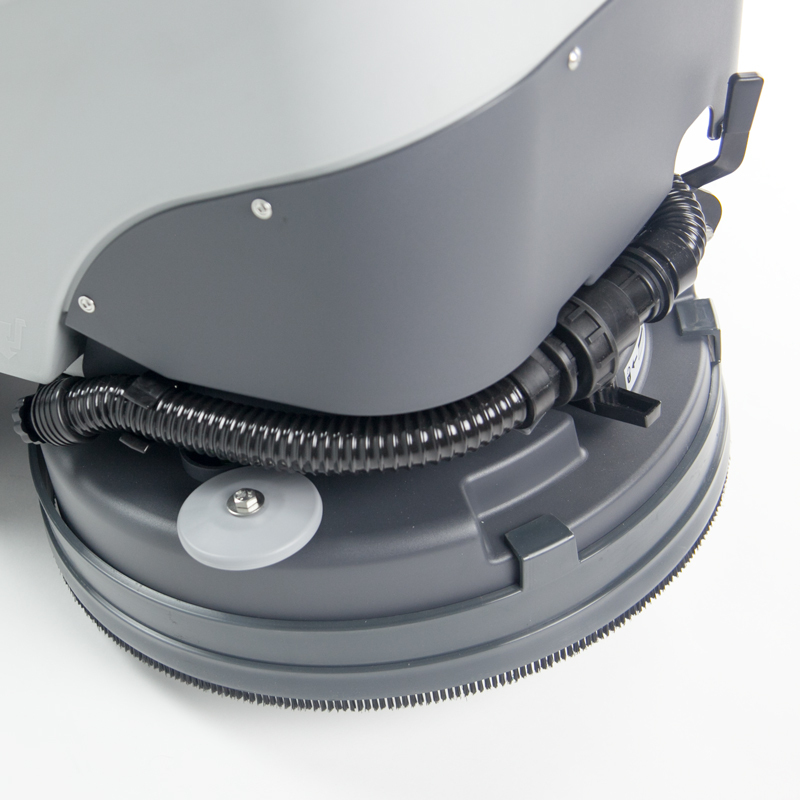 Eliminates side splash and encloses solution inside the brush for a more precise clean, the floating mechanism protects against wear and allows adjustment to the surface. 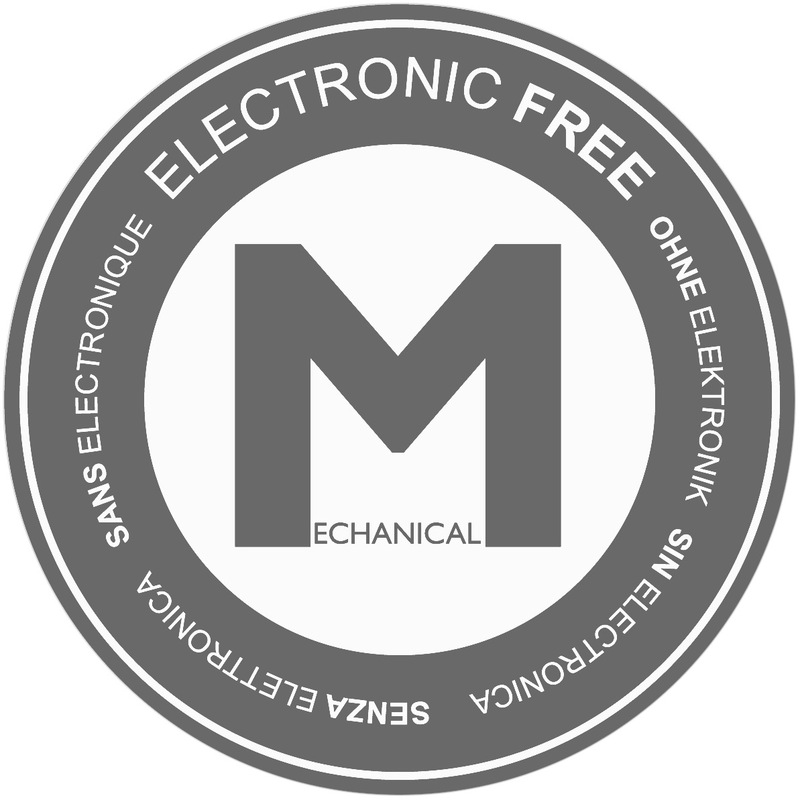 Our ‘Mechanical’ line, specifically designed with hassle free controls and no electronics. The benefits? Minimal training, easy operation and low maintenance. 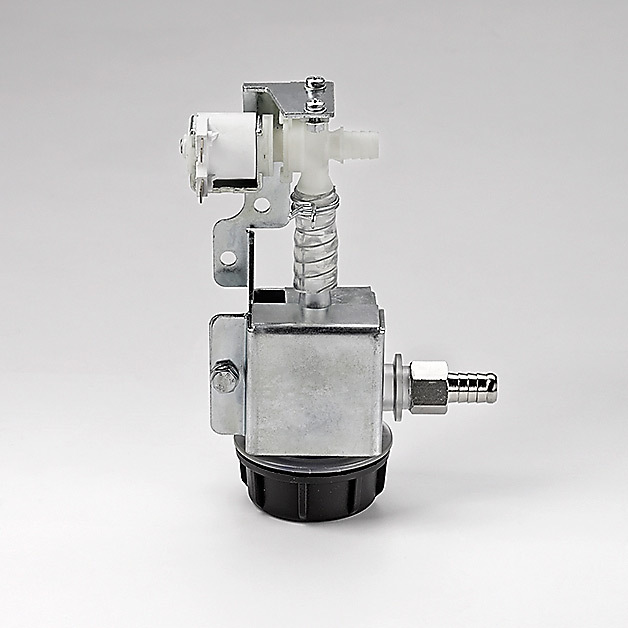 An industrial solenoid valve automatically activates and deactivates in line with brush activity, effectively controlling the release of solution, saving water, chemical and cost. Clever storage built into the machine hood for operator comfort.